Hope you are well on this beautiful day! Sorry our newsletter didn't come out yesterday! My computer seemed to be having some issues. My in-laws were here this last week so I was able to get to work on some things for the shop! One of them is our row for the Row by Row Experience. I can't wait to finish stitching it and share it with all of you! 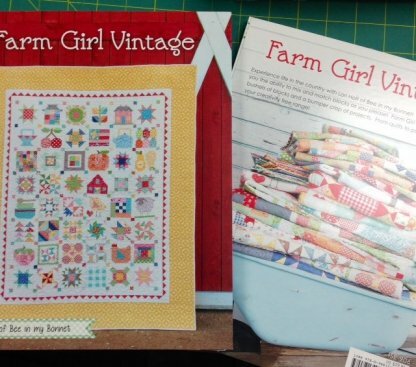 We have a NEW book in called Farmhouse Vintage by Lori Holt of Bee In My Bonnet. This book features "a bushel of blocks and a bumper crop of projects." They will allow you to create endless possibilities of quilt tops, table runners, wall hangings, and more! NEW rulers - Itty Bitty Eights - are also here! These rulers, designed by Lisa Bongean of Primitive Gatherings, feature 1/8th of an inch marks to help create those mini quilts and mini blocks with ease. 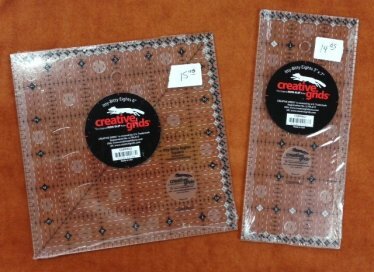 There are two sizes available a 6" square and a 3" x 7". Bev has finished the Harlow Country Sample in the Midnight Colorway. 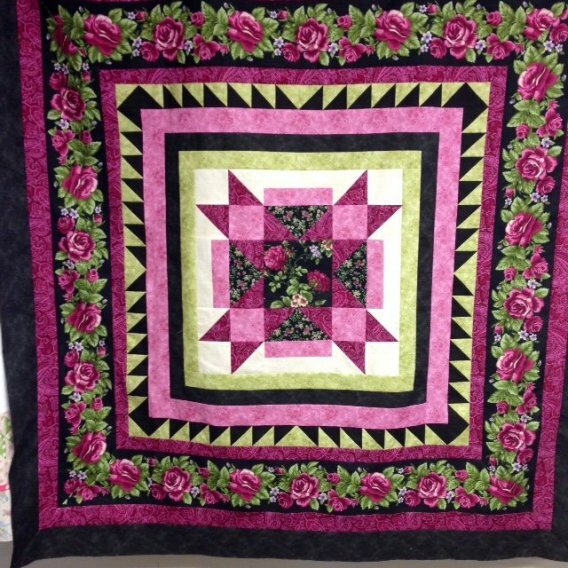 This gorgeous quilt is 54" x 54". Stop in to see the sampler today! Kits are available. Mark your calendars for Saturday May 2nd! We will be celebrating our 6 Month Anniversary (boy how time flies when you are having fun!) We will have a store wide sale (with some exclusions), with door prizes and treats! Be sure to stop and see us - we will be here 10:00 am to 3:00 pm!